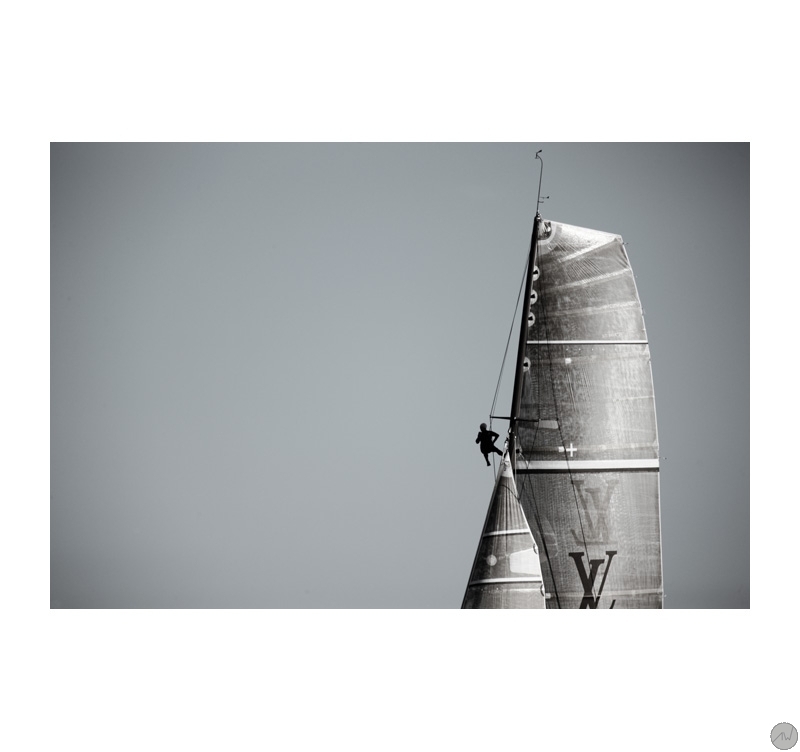 A trendy art print of a sailor perched at the top of his boat's mast. This modern canvas is 90 x 60 cm (35.43 x 23.62 po). 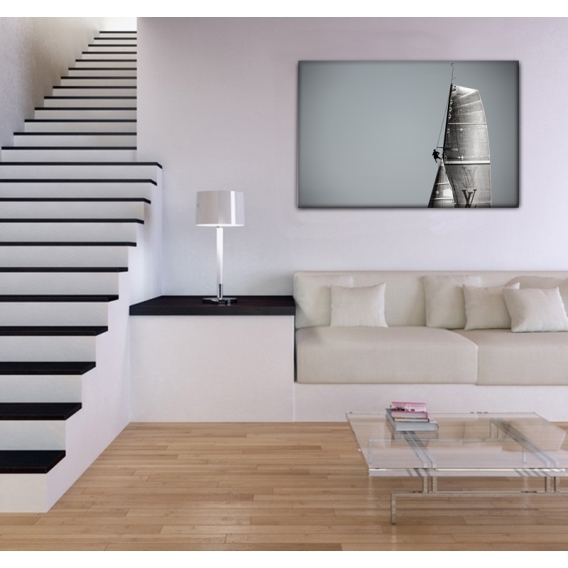 Free delivery within 48/72 hours in metropolitan France for this contemporary art print. Each sailboat art print is treated to withstand UV and moisture. So small and yet so huge! 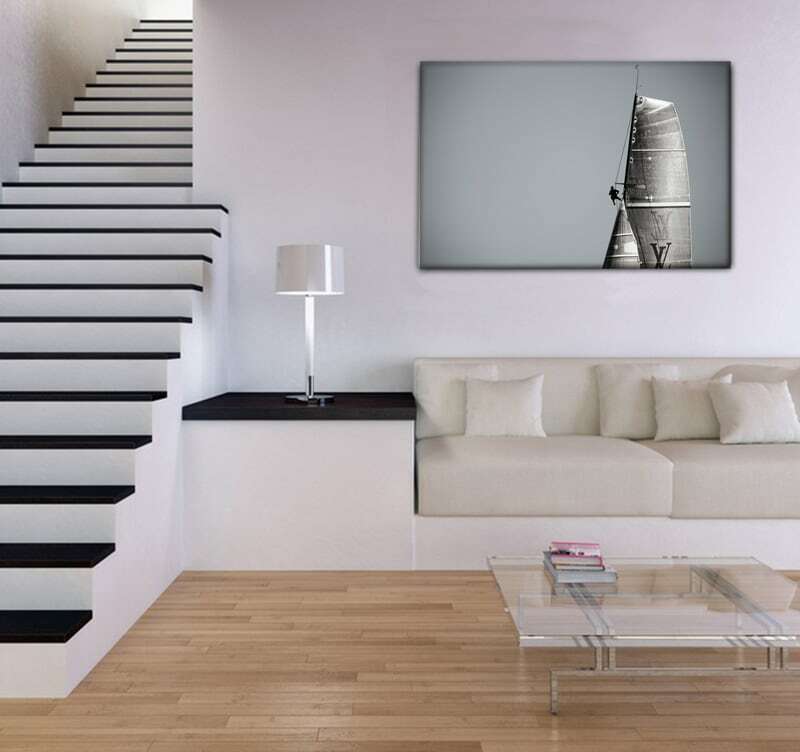 This modern wall decoration depicts a crew member watching from the mast of a regatta racer that looks as huge as the man looks tiny... This contrasting sea canvas print offers all the beauty and design of photographs of ships, ready to sublimate any interior decoration. All our modern art prints from this category are printed on cotton canvases and stretched over a frame made of Canadian pine wood. The photos on canvas are delivered with cardboard corners and hanging hooks. 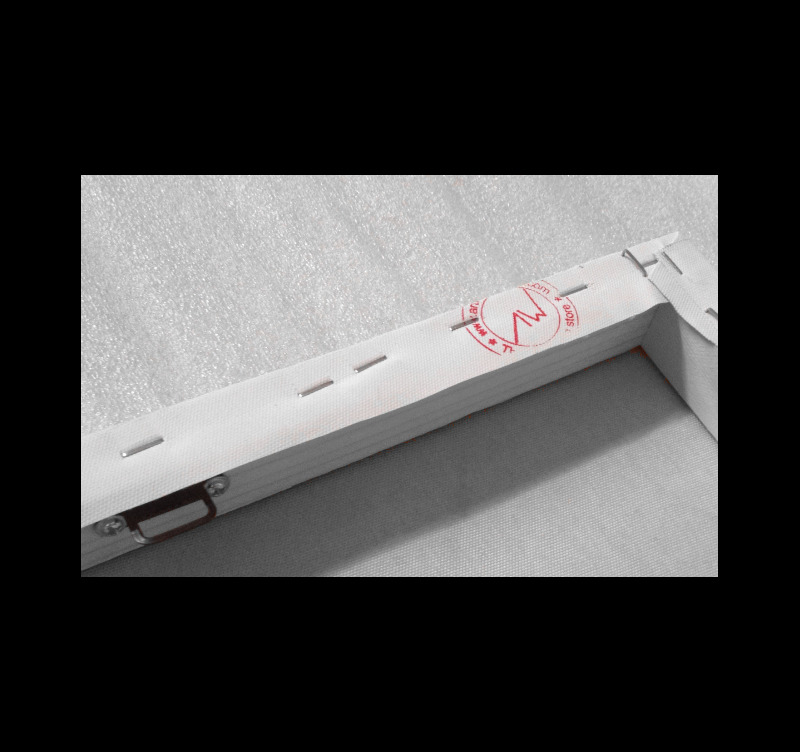 All our printed artworks are treated to withstand UV and moisture to ensure optimal rendering and lifetime.